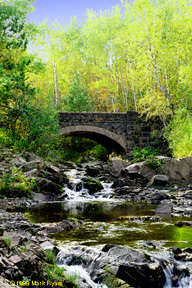 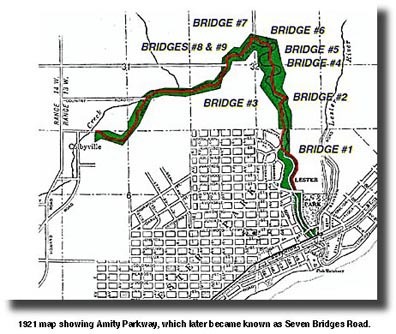 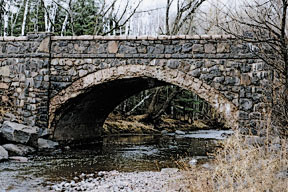 Seven Bridges Road is one of the more beautiful parkways in Duluth, Minnesota, a city renowned for its parks and boulevards. 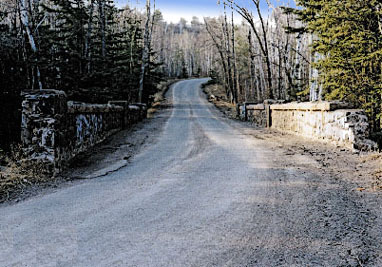 The drive travels up Occidental Boulevard from Superior Street and across Hawk Ridge to Glenwood Avenue--a distance of about 4 miles--and serves as the eastern terminus to Duluth's famous hilltop boulevard, Skyline Parkway. Winding its way through forests of pine and birch, the lower portion of the road intertwines with Amity creek, the western branch of the Lester River, as the waterway descends toward Lake Superior. 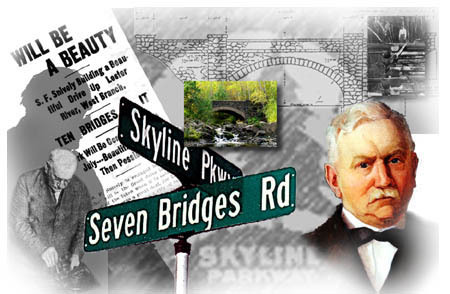 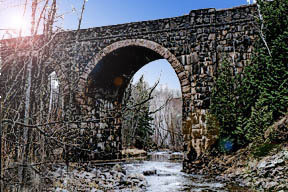 Along the way, the parkway crosses several beautifully crafted stone-arch bridges, all similar in design and construction, and the reason for the road's current name. 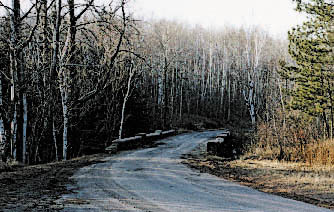 Work on this original section of the road was begun in 1899, and opened for use in the next year. 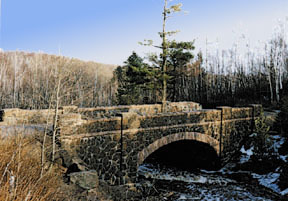 But it would take more than three decades before the upper connection across Hawk Ridge was finally completed. 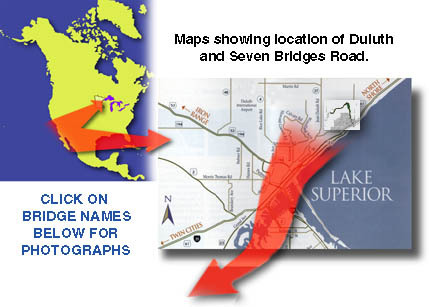 Web Pages © 1999-2008 Mark Ryan. 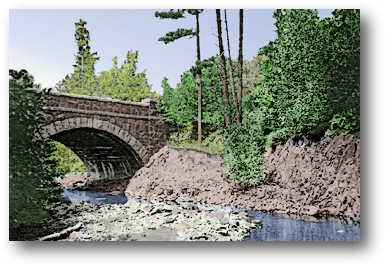 All color photographs by Mark Ryan. 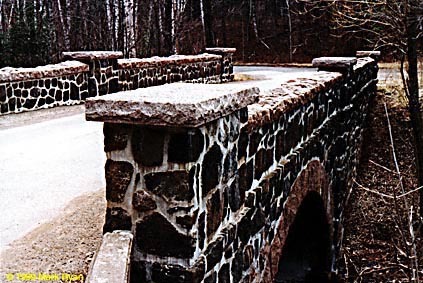 © 1998, 1999 Mark Ryan. Photographs credited to William Overland Collection or to Douglas Overland Collection are © William Overland, and © Douglas Overland, respectively.